Knit Buddies: kitty: Happy Belated World Wide Knit in Public Day!!! kitty: Happy Belated World Wide Knit in Public Day!!! Happy Belated World Wide Knit in Public Day!!!!! 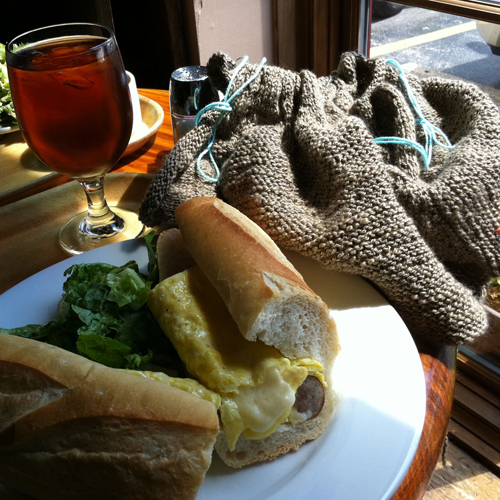 M and I had a leisurely breakfast and had a breakfast sandwich, small caesar salad, with tea/coffee. The morning was pretty perfect especially considering the storms had kept us up almost all night with cracks of thunder and lightening that lite up the bedroom. Then we started our long list of errands for the day. The first stop was our favorite used camera store. You really never know what treasures you will find hidden among the huge inventory. (World of Used Photography - worldofusedphotography.com ) Here is a photo of M testing a lens I really really want that he has in stock. Just trying to find a good reason to own it. It really needs a full frame camera and I would need to take more portraits.. Should I buy or should I dream? After finishing our errands we decided to park at the top of the Short North and walk to North Market. We had planned on going to take photos of roses in the Park of Roses for our exercise for the day, but they had a rose show going on at the time and a wedding. No fun to just take photos of random people when you want to take photos of flowers. 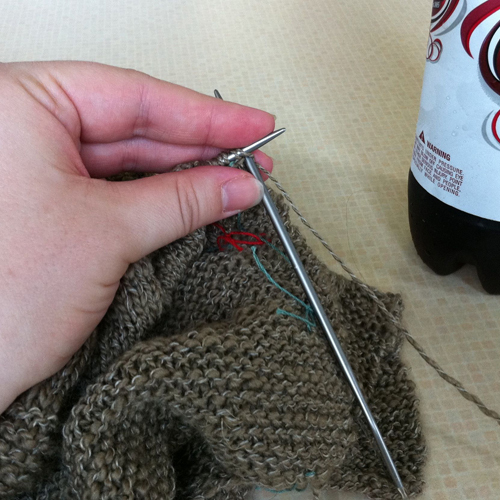 We ended up stopping to get a drink and for me to knit a few rows. 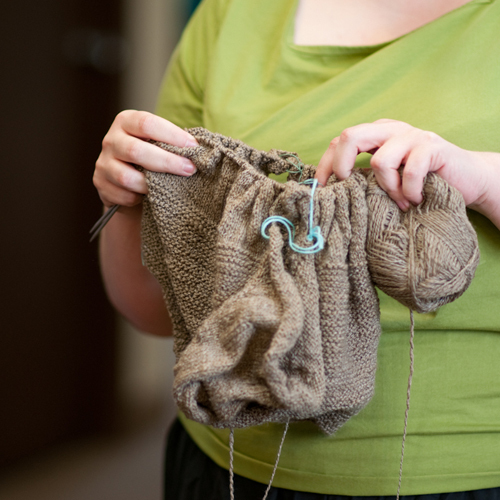 Did you know realize that Columbus, Ohio probably has the most World Wide Knit in Public Day events going on than any other place in the world. TNNA has been taking place for several years now at the Convention Center. 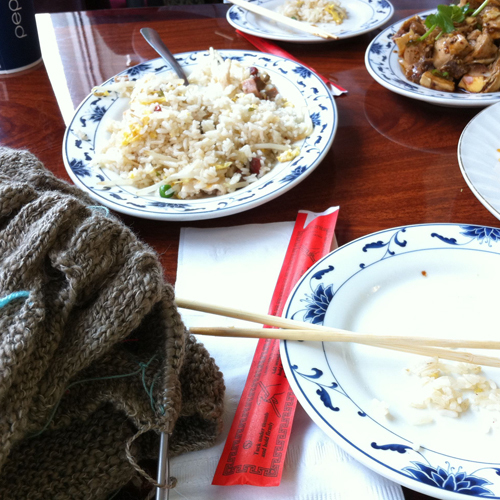 Knitting came along for dinner at our favorite little Chinese restaurant Lotus Grill There English menu is average Americanized Chinese food, but there Chinese menu truly rocks. 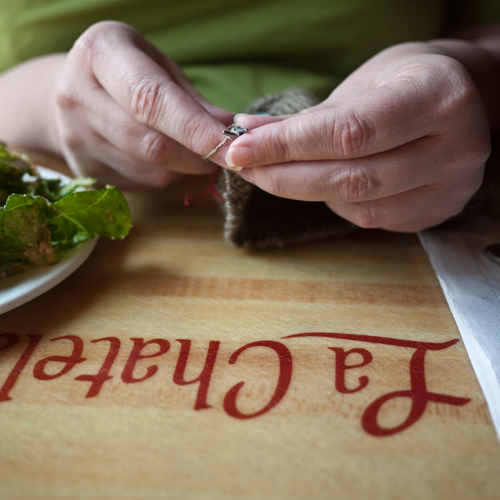 There food is always consistent and the owners are truly dear. You can not help but love the guy who works the front desk, he always makes us laugh. The price are even great to boot. And of course the day would not be complete without hitting Stauf's for coffee. 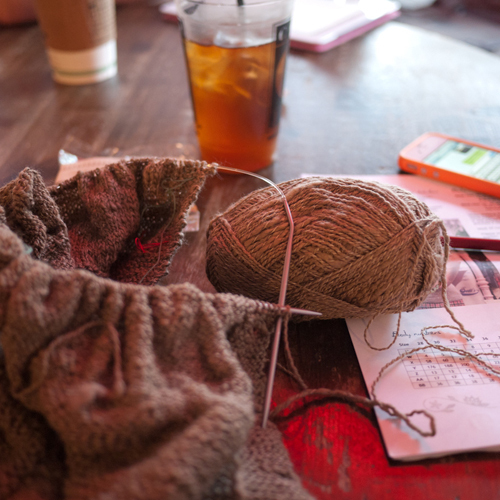 It really is the perfect place for M to work and me to knit. As an added bonus though MG and her husband stopped by to join us. We spent a lot of time though watching the insane line for Jeni's ice cream two doors down. (Jeni's Fresh Ice Cream - Grandview Heights, OH) ( Don't forget Jeni's new book is out - Jeni's Splendid Ice Cream) At one point a woman came in saying she had stood and counted 165 people waiting. We just sat in amazement. So much to my delight MG and I spent the last few hours of knit in public day together knitting in public. 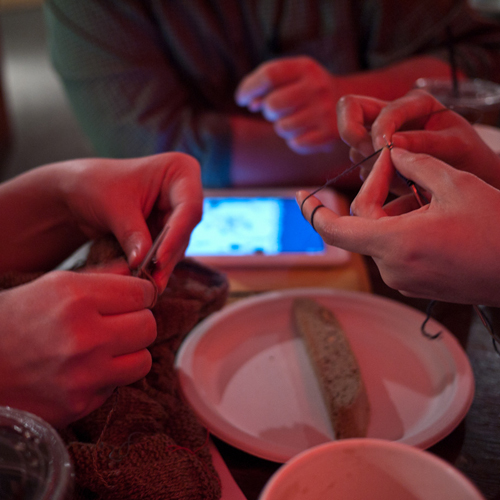 What every good knitbuddy should do!!!! Happy Knit in Public Day!!! PS: The project that you see in all the photos is "Cria" pattern by Ysolda in her new upcoming book Little Red in the City. I knit under a sleeping cat. Does that count as public?